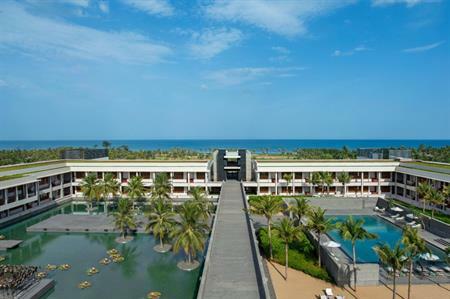 IHG has opened the Intercontinental Chennai Mahabalipuram Resort in India, its second Resort branded property in the country. The 105-room hotel, which opened this month, is located 30km from Chennai International Airport and faces the Bay of Bengal. The resort features extensive meeting space over three different rooms, and can cater for up to 250 delegates. It offers top of the range facilities including LCD TVs and projectors, as well as plasma screens and a dedicated events team. Other facilities at the resort include an outdoor swimming pool, a health club and spa and three different dining and drinking options serving a range of international cuisines. It also features a champagne bar.